As the longest-running cast member in the history of “Saturday Night Live” Kevin Nealon clearly set himself apart from the other performers with his unique sense of humor, profound dry wit and likable demeanor. After nine seasons on SNL, Kevin left the show and starred in the Dreamworks prime time series “Champs” for ABC. Kevin can be remembered for his well-known character: The Subliminal Man, Hans and Franz and Weekend Update Anchorman. Other favorite SNL characters of his include: Larry King, Sam Donaldson, Mr. No Depth Perception and Ganon PI. In 1988, Kevin was nominated for an Emmy Award as part of the SNL writing team. Born and raised in Bridgeport, Connecticut Kevin devoted himself to art and sports and got his first taste of performing as a teenager in various garage bands. After graduating from Sacred Heart University with a degree in marketing, Kevin spent his time traveling throughout the United States and Europe. Eventually he settled in Los Angeles to what he refers to as “a career in part-time jobs”– working for a car leasing company, and a moving company, as well as serving as a department store Santa Claus…to name a few. Kevin began his career in 1978 as a stand-up comedian while working as a bartender at the Improv in Hollywood. He readily made a audience roar with laughter and soon thereafter, made appearances on talk shows, commercials and feature films, including Happy Gilmore, The Wedding Singer, Little Nicky, Cecil B. Demented, All I Want For Christmas and Roxanne with Steve Martin. Kevin currently resides in Lake Tahoe with his wife, Linda and six cats and is a committed vegetarian. He devotes a great deal of time to PETA and has adopted twelve farm animals at the Farm Sanctuary in Watkins Glen, New York. You can currently catch Kevin on the big screen in Anger Management with Adam Sandler, Jack Nicholson, John Turturro, Marisa Tomei and John C. Reilly and coming up: Daddy Day Care (with Eddie Murphy, May 9) and Good Boy (Liam Atkins and Molly Shannon, Oct. 10). Do you want to hire Kevin Nealon? Directly request a quote. In 48 hours we can send you the availability of Kevin Nealon If you would like to book Kevin Nealon, Entertainment Booking Agency is the right place. 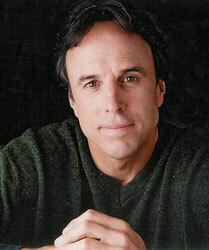 We will offer you the best price and contact the management or we directly contact Kevin Nealon. For corporate appearances or speaking engagements you can contact our agents and the will help you true the process. Tags: hire Kevin Nealon, Kevin Nealon booking, book Kevin Nealon, Kevin Nealon appearances, find more information on booking Kevin Nealon for appearances, Kevin Nealon speaking engagements, Kevin Nealon endorsements/spokesperson, Kevin Nealon appearance fees, Kevin Nealon booking agency contact info, biography of Kevin Nealon, Contact an artist booking talent agent find a speakers bureau that can book Kevin Nealon, speaker booking agency for Kevin Nealon, Kevin Nealon booking agency, Kevin Nealon booking for corporate event. EBA is one of the biggest entertainment booking agencies in the World. We book hundreds of celebrities, artist, athletes and speakers in a year. Important to know is that we are not claiming to be the management of Kevin Nealon. We are not the official agent for Kevin Nealon. Companies from around the globe book these artists and speakers true our company be course we have one of the biggest networks and we always have direct contact with the artist or the management. We help you to find the right celebrities for your corporate of private events. Please contact one of our agents to get free advice and we will help to get the world-famous artist on your party.